Karina's Kreations: Hello Life Project Kit! 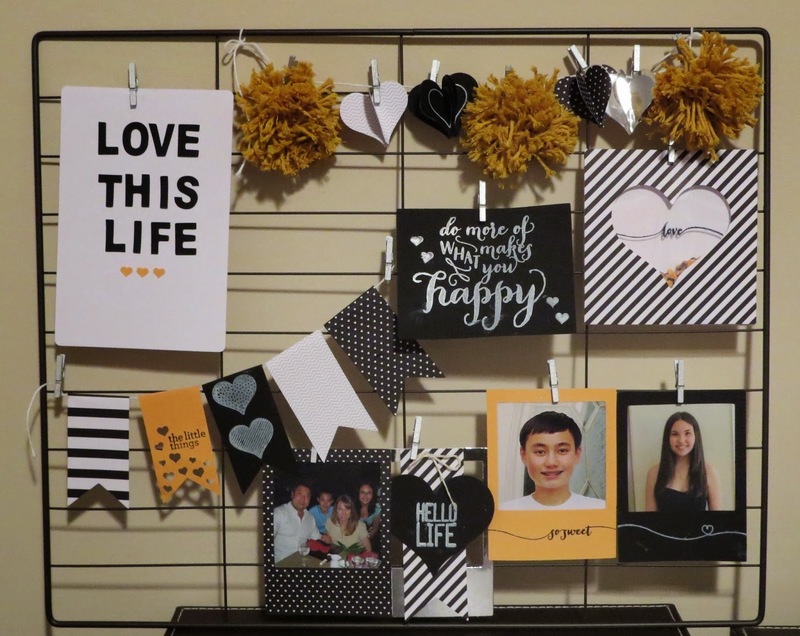 I had so much fun putting together my Hello Life Frame project #137949. This would be so much fun to do with a group of friends. I think this would be a great seasonal project too. You could change some panels and make it a Valentine's, Easter, Summer, Fall and Winter Frame. I love how I can easily change out the pictures. Everything is clipped on with cute Metallic clothespins. When you Buy this Kit and the coordinating Hello Life stamp set, you earn a free sale-a-bration item. If you're making this at home, make sure you have white craft in and Black Stazon ink.